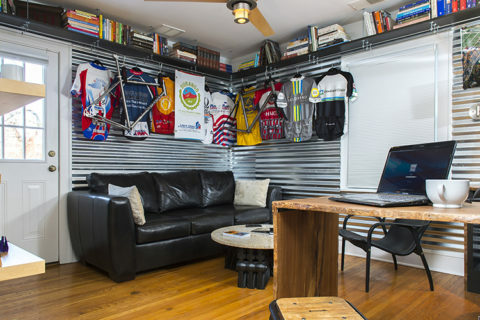 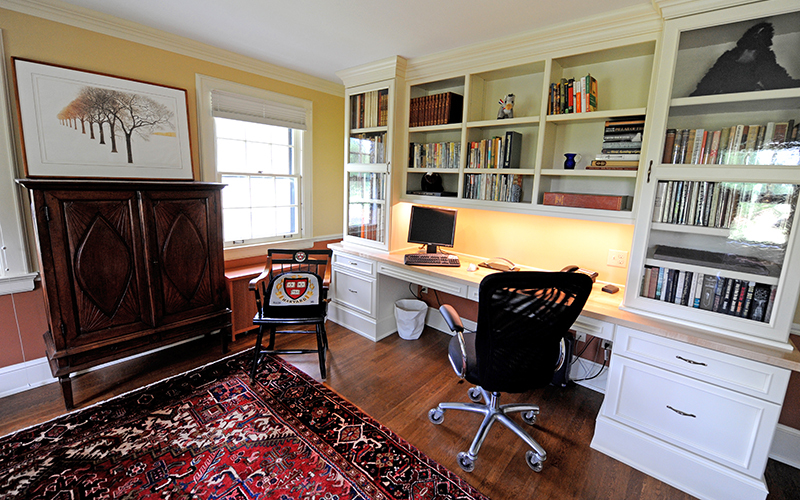 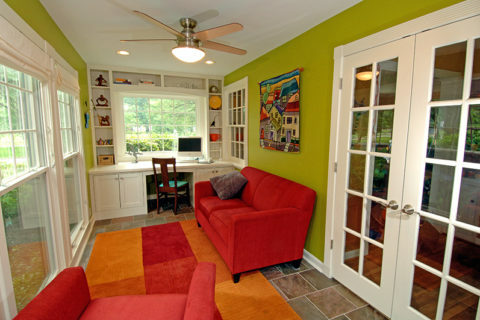 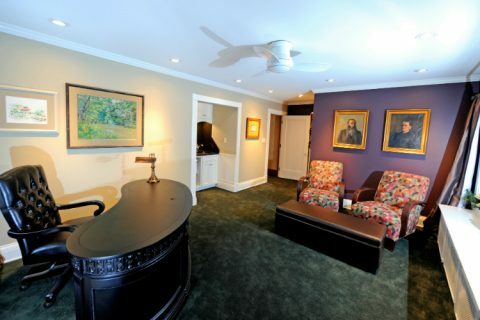 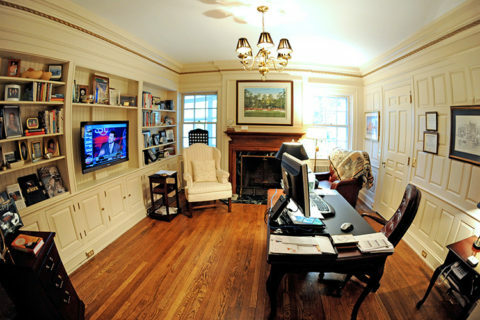 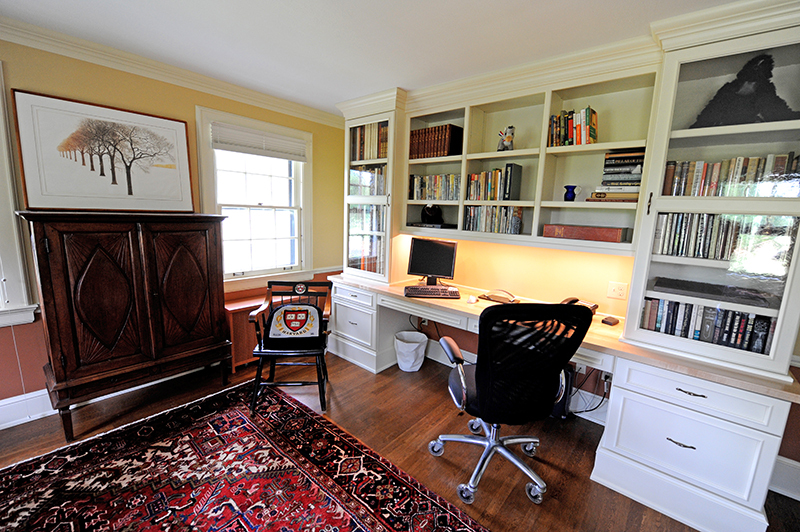 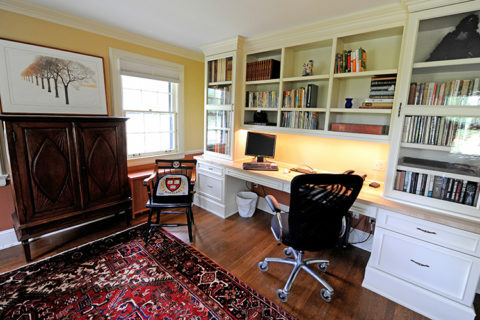 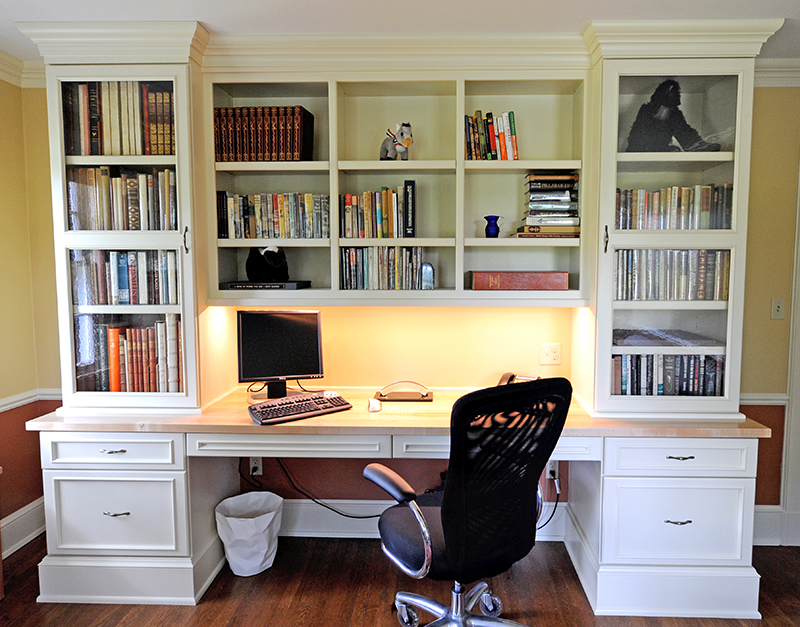 In this Shaker Heights, Ohio home office remodel, we took a little-used spare bedroom and transformed it into a stately study, including a built-in desk, crown moldings, and glass-fronted cabinets, all painted white to create a bright, airy feel. 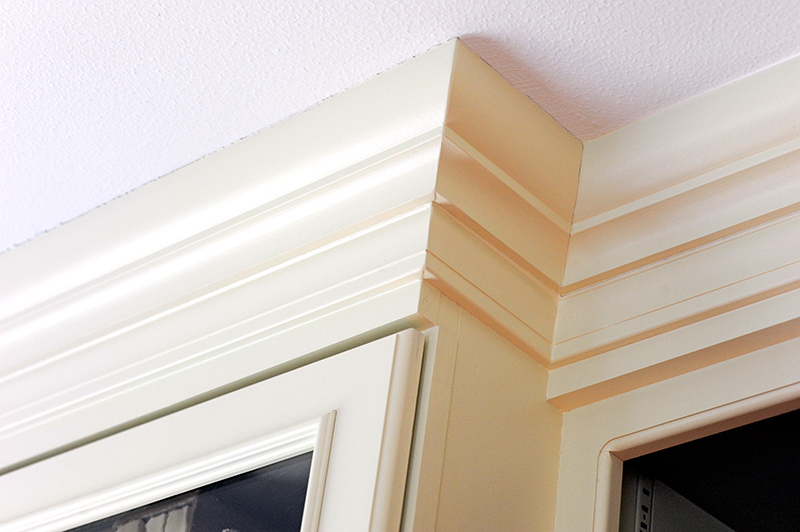 We designed the desk unit to be used in the future as a queen-sized bed, and built up the crown moldings to achieve a highly integrated, traditional look. 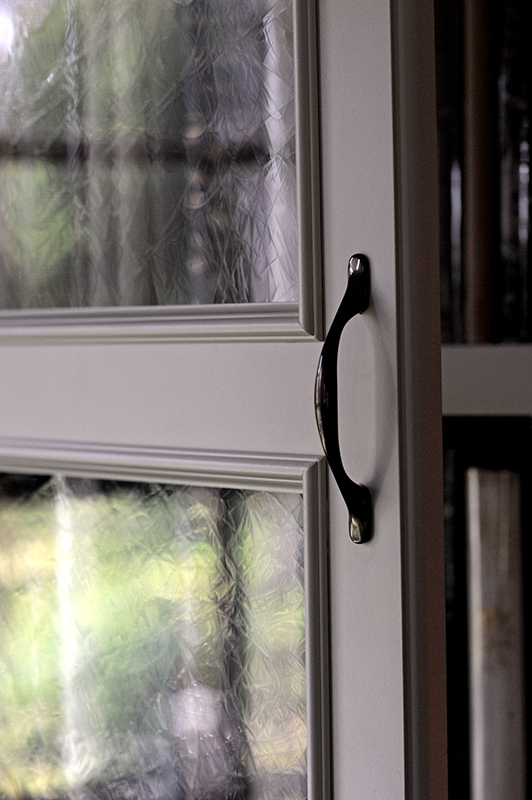 Antique glass, coated with UV protectant, was used in the upper cabinets.